MEMPHIS, TN – “If Memphis is going to survive, black businesses must survive,” said Carolyn Hardy, founder and CEO of Henderson Trans-loading Services, a company that stores and transports grain products – wheat, soybeans, corn and milo – by rail and boat. Hardy drew this conclusion based on the virtually nil percentage of gross receipts from black businesses in Memphis and Shelby County after she served on Mayor Jim Strickland’s transition team. In June of 2015, the city contracted with Griffin & Strong P.C. to conduct a Disparity Study to ascertain the problem or lack of diversity when it comes to minority and women-owned businesses obtaining contracts. The five categories were “Construction,” Architecture and Engineering,” “Professional Services,” “Other Services,” and “Goods.” The purpose of the study was to determine if the Equal Business Opportunity ordinance, which was set to expire on June 30, 2015, was fulfilled or not. “What I learned is when you look at the Disparity Study that the city paid for and looked at, the feedback they got from the business community…they got the answer to solve this problem,” she said. The business community is where the money is made, said Hardy, whose business pedigree dates back to 2006 when she purchased Coors Belle brewery in Hickory Hill for $9 million. She worked at the company prior to becoming the owner. Hardy turned that investment into a $30 million windfall five years later after selling Hardy Bottling Co. – which manufactured carbonated and non-carbonated beverages – to Blues City Brewing LLC, an affiliate of La Crosse, Wis.-based City Brewing Co.
Chism Hardy Enterprises LLC, the parent company to Hardy Bottling, which cast Hardy as the first African-American female to own a major brewery, brokered the million-dollar deal. Hardy upped her game in the business community after paying $403,980 via the Hardy Family Trust for 33.6 acres of land in the Frank C. Pidgeon Industrial Park for her trans-loading and docking business. In some respects, Hardy has managed to defy the grim statistics for women and minority-owned businesses the city’s Diversity Plan reported when it was rolled out last year. When it comes to divvying up contracts, the rules of engagement for awarding contracts are pretty much set in stone, said Hardy, who was tipped with this information by some top-level business owners. “If you’re the lighting subcontractor, the lighting sub decides where they buy their supplies from,” said Hardy, noting that many minorities aren’t big enough to handle big projects. Hardy points to the $9 billion in capital expansion underway in the city as a yardstick of where relatively little money is being spent among the varied minority and women-owned contractors. 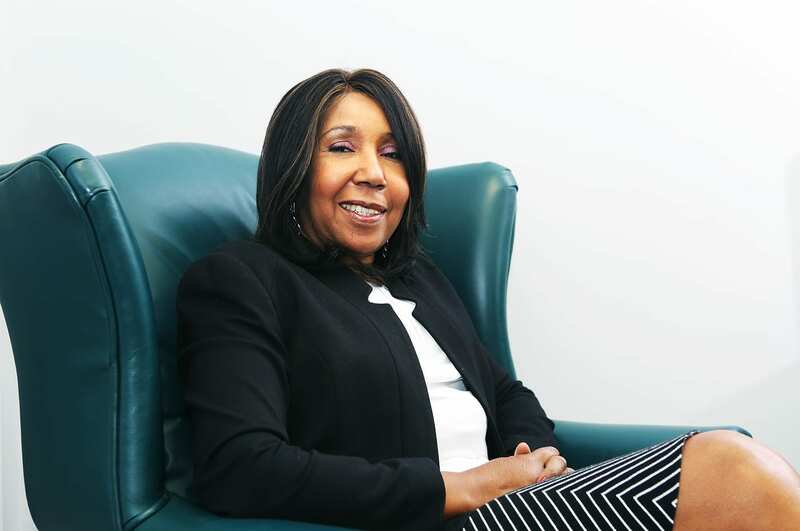 When Hardy started Henderson Trans-loading, she had more of an advantage than other African-American entrepreneurs and minority firms: She didn’t have to hunt for start-up capital. Henderson Trans-loading has credibility too, said Hardy, who also owns an industrial supply company.